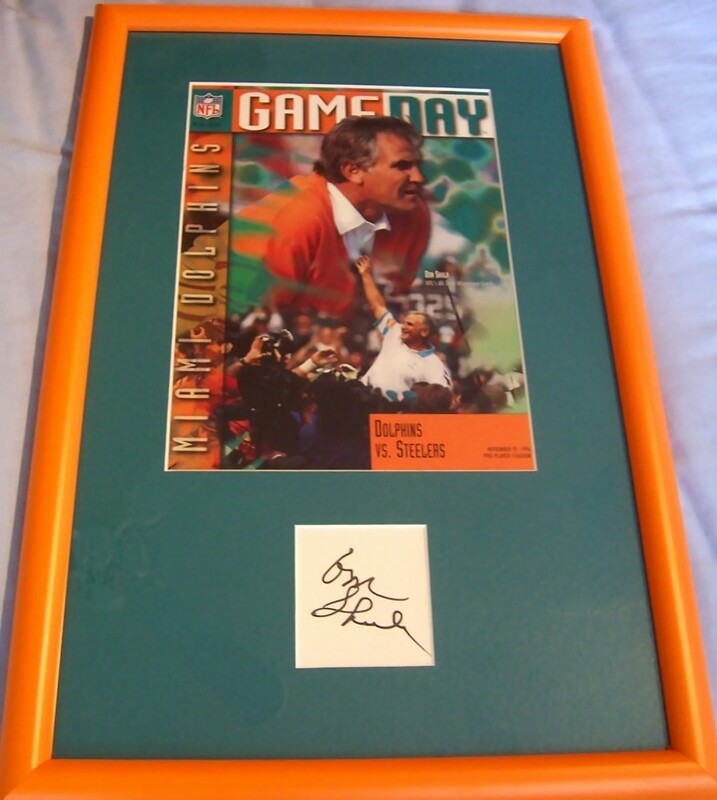 Don Shula autograph on plain white paper professionally matted and framed in Miami Dolphins aqua and orange with a program cover commemorating his NFL record 325th win, ready to hang. ONLY ONE AVAILABLE FOR SALE. With certificate of authenticity from AutographsForSale.com.